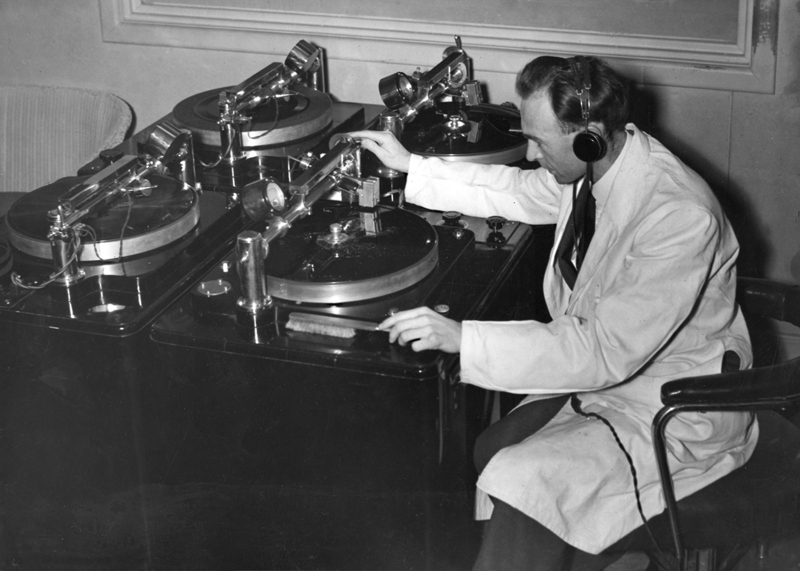 The first Waitangi Day radio broadcasts are the Centennial celebrations of 1940 and Sir Apirana Ngata’s famous speech about what was on ‘the mind of the Māori’ at that point. Other historic recordings include feature the first ‘modern’ protests in 1971, when Ngā Tamatoa made their presence felt at Waitangi. Archbishop Rev. Whakahuihui Vercoe © 2004 Anglican Taonga/Julanne Clarke-Morris. 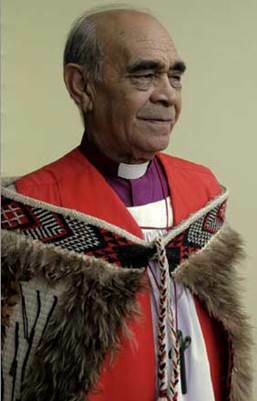 More recently, an impromptu speech by the Bishop of Aotearoa Reverend Whakahuihui Vercoe at the 150th Sesquicentennial celebrations in 1990 is a stand-out example of the power of speaking from the heart. This week I presented a selection of ‘Sesqui’ sound recordings, including an excerpt of Bishop Vercoe’s speech, on RNZ’s Jesse Mulligan show. You can hear them here on RNZ’s website, or read more about Bishop Vercoe’s powerful oratory below. New Zealand was on a “Sesqui” high 28 years ago. 1990 had kicked off with the Commonwealth Games in Auckland which were hailed as a great success, and then the focus turned north. Queen Elizabeth and the Duke of Edinburgh arrived in Auckland to close the Games and they then headed to Waitangi on February 6th, the 150th anniversary of the signing of the Treaty. 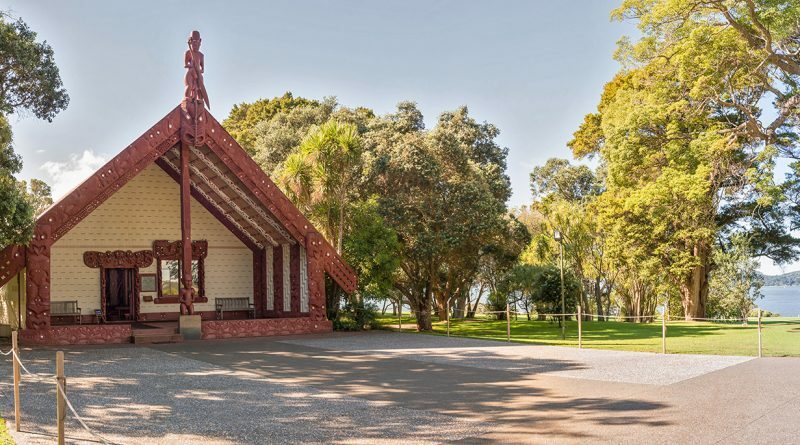 As had become the custom by 1990, there were also many visitors who had come to Waitangi to protest the Crown’s response to the Treaty, and as the Queen came ashore in her launch, a wet t-shirt was thrown at her. There was much support for his impromptu address from Māori and some Pākēha. While he was denounced in Parliament (and no doubt on talk-back radio), business leader Hugh Fletcher sent him an encouraging note and a gift to acknowledge the controversy he had stirred up – a hot water bottle. You can hear the immediate reaction – and an interview with Bishop Vercoe – in this episode of RNZ’s Morning Report from the following day, 07 February 1990. The treaty is what we are celebrating. It is what we are trying to establish, so that my tino rangatiratanga is the same as your tino rangatiratanga. 1, 3. The making of a ‘radical bishop’ Lloyd Ashton, Anglican Taonga magazine, Spring 2006. Retrieved fromhttp://manaonline.co.nz/bishop_vercoe/index.htm (c) Anglican Taonga Magazine.